I am unbelievably pleased to report that it works! The keyboard interface just became a reality, thus multiplying the usefulness of the system by at least a factor of 10. 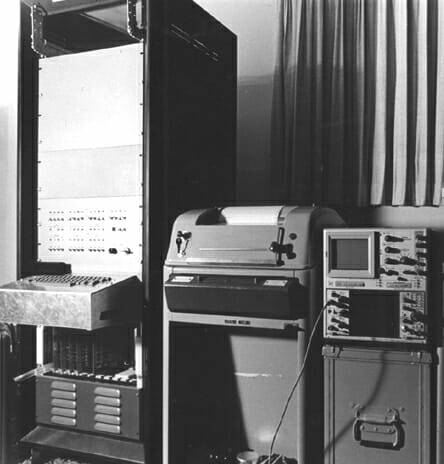 This letter is being printed through the miracle of electronics – the processor is reading the ASCII from the keyboard, compacting it to generate a lookup table address, checking for letters or figures mode and acting accordingly, then fetching the Baudot character and printing it. We must start exchanging software soon. 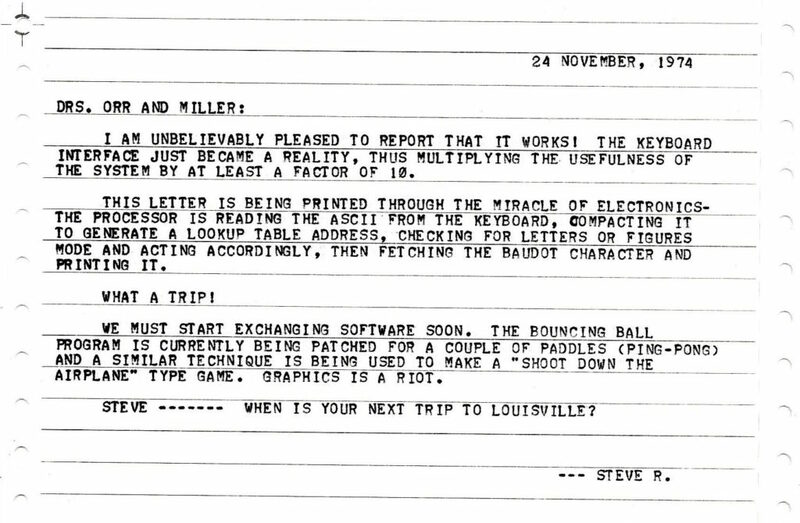 The bouncing ball program is currently being patched for a couple of paddles (ping-pong) and a similar technique is being used to make a “shoot down the airplane” type game. Graphics is a riot. Steve —- when is your next trip to Louisville?